This week I decided to participate in the #PMTstylechallenge which was putting together an outfit inspired by Pinterest. 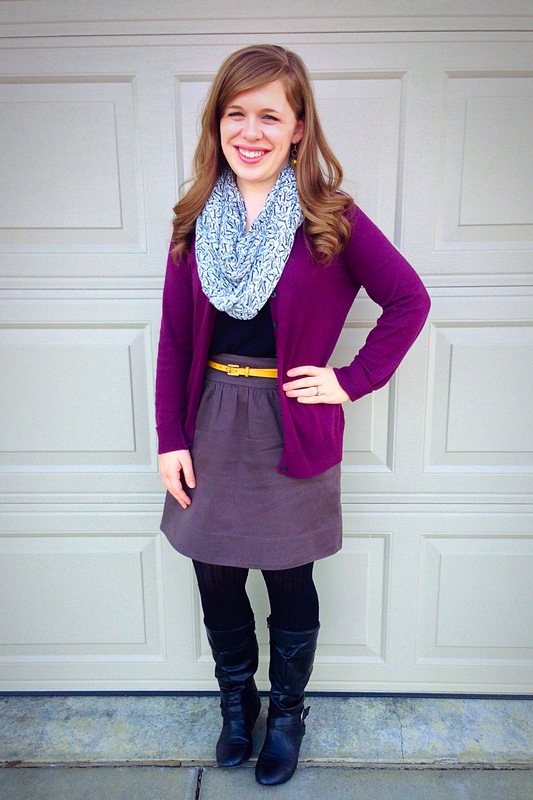 And after my talk last week about how much I love finding outfit inspiration on Pinterest, I thought it would be fun to participate in the challenge! 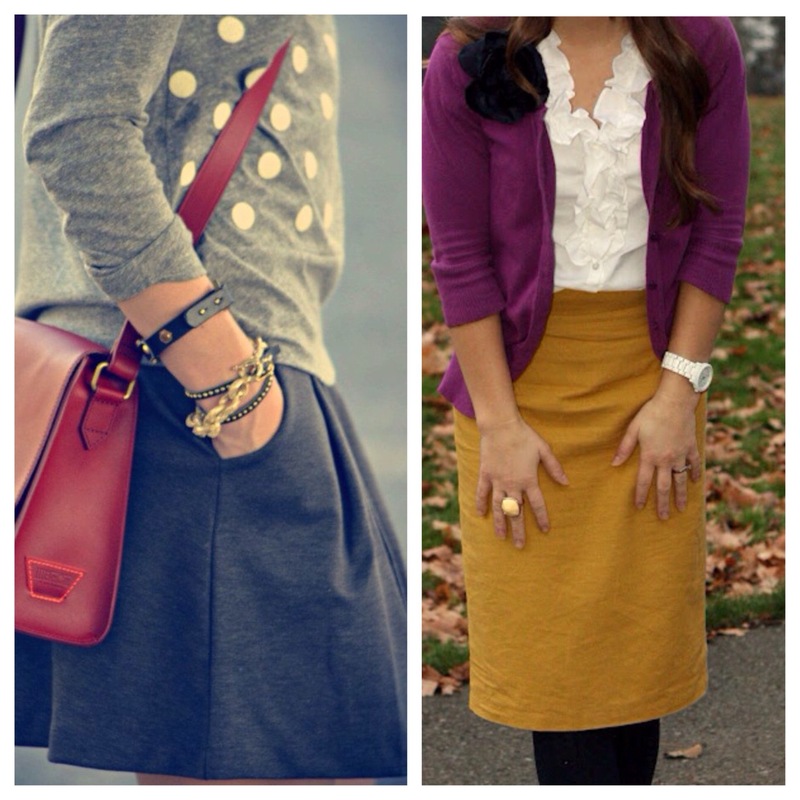 This outfit was inspired by these two pins below. I really like how it turned out and I love that it gave me a chance to wear my gray skirt which I hadn’t worn in basically forever. I will definitely wear it again! 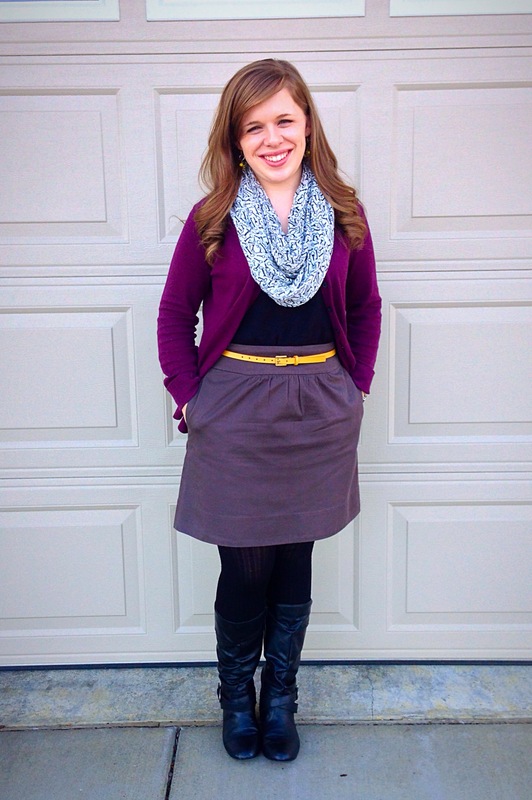 If you feel like you’re stuck in an outfit rut you should give this challenge a try! Late to the party today Allie but I like your ideas to check out pinterest for outfits. Hope they have some ideas for us older ladies. That cute yellow belt makes the outfit. But you are so lovely that any outfit looks nice on you. Thanks so much, Arlene! I’m sure you’ll find some good stuff on Pinterest! Ooooh, you’re making me covet a yellow belt! Such a great look! Thanks! That belt is one of my favorites. Nice outfit..love the touch of yellow! Thanks! The yellow belt is my favorite part of the outfit! Such a great outfit!! Love all the color, comes together so well! !